This is information from last year's event. We do not expect that there will be any major changes made to this since last year but we will update the date and year when everything is confirmed to be correct. 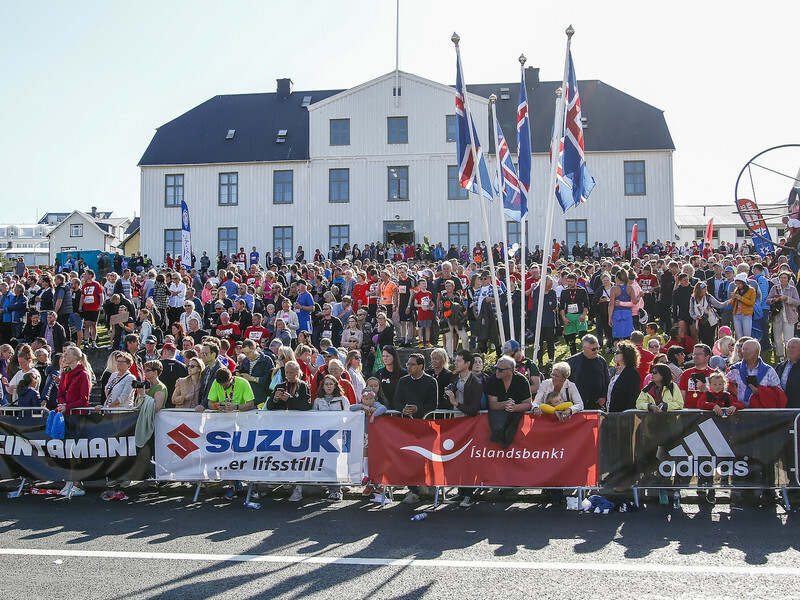 On Saturday, August 18th, 2018 several thousands of participants will run on the streets of Reykjavik. In the table below you can see a list of good cheering spots and estimated time when the runners run by. 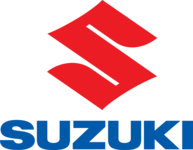 Most of our sponsors will be on the course with their own pep stations with music and/or other entertainment. 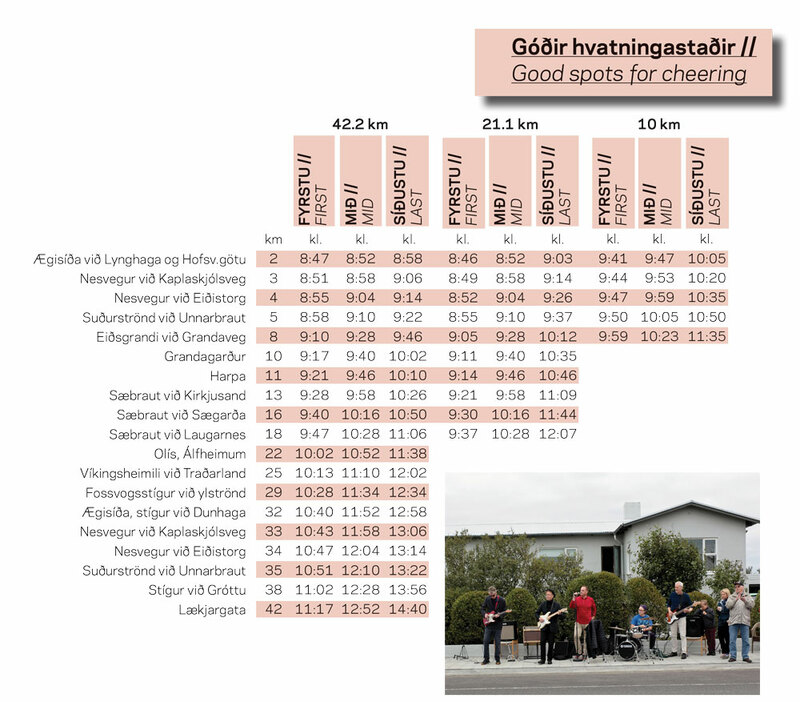 Many of the charities that you can raise money for on the website hlaupastyrkur.is are also spread along the course to encourage and cheer for their supporters and others passing by. 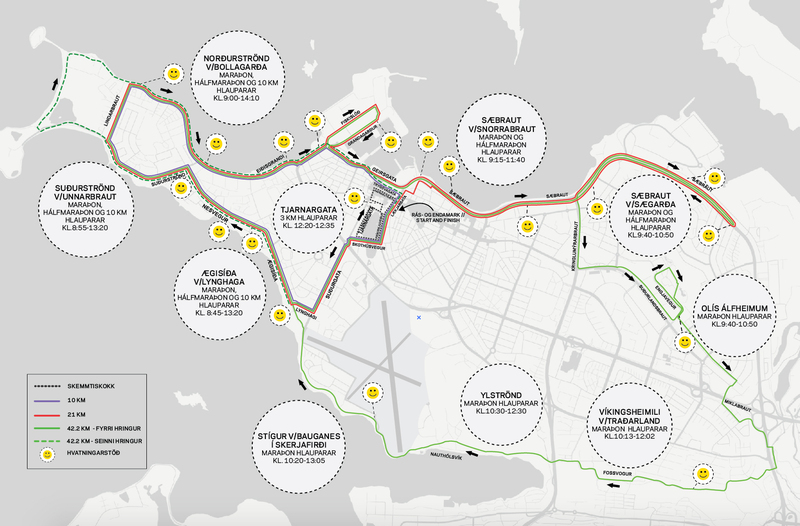 If you want to see their rough location check out this map.